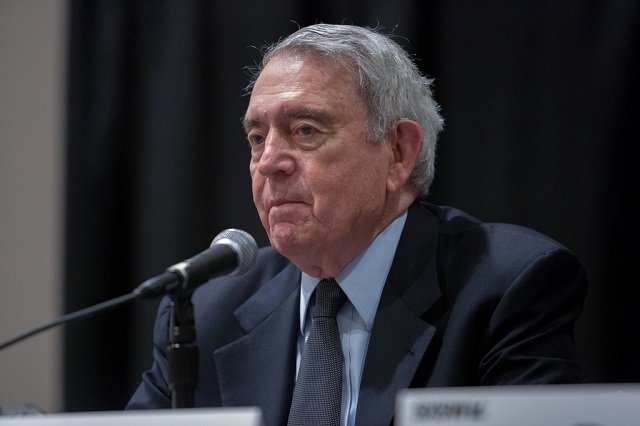 While Dan Rather's former colleagues were busy falling all over themselves to correct their slanderous lies about the students of Covington Catholic High School on Friday afternoon, Rather was busy writing a delusional attack on them based off a false narrative that was already debunked. 3/3 We're repulsed by smug privilege in the face of pain, a lack of empathy in young people - symptoms of a much deeper rot stretching back centuries. But history also shows the chorus of the complicit can be vanquished by the heroic actions of those who will not be silent. The truth of the matter is the most priviledged people in our society are the fake news media and their whining liberal allies who are never held accountable for their daily witch hunts based off slanderous lies. The only reason this story went so viral and triggered leftist's blood lust was because the students were young white, Christian males who held their own in the face of adversity. It was Phillips and his entourage as well as a group of anti-white racist Black Hebrew Israelites who tried to intimidate the students of Covington Catholic. Adults and political leaders who serve the establishment led a witch hunt to destroy the lives of these young boys. The actions of these students to fight back against our smug privileged elites in the face of unprecedented adversity were what is heroic. The actions of the Twitterati and the lying fake news media were a national disgrace.